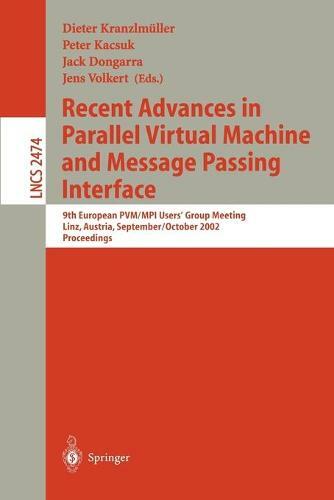 This book constitutes the refereed proceedings of the 9th European PVM/MPI Users'Group Meeting held in Linz, Austria in September/October 2002. The 50 revised full papers presented together with abstracts of 11 invited contributions were carefully reviewed and selected. The papers are organized in topical sections on Corss Grid, Par Sim, application using MPI and PVM, parallel algorithms using message passing, programming tools for MPI and PVM, implementations of MPI and PVM, extensions of MPI and PVM, and performance analysis and optimization.